Also see my “contact” page if you’re interested in how to learn, or would like to contact me with any questions. And while you’re here, please check out my various pages, and watch any or all of my more than 500 Extreme Unicycling videos! You are also invited to join me on my Facebook page! Go to krisholm.com for the latest in state-of-the-art Unicycles, and also check out his latest innovative gear! You can order all things unicycle, including the full KH line, from Unicycle.com! And at 61, I wanted to find if I could still hop up almost 70 stairs…on my 36er! Very special Century ride for Autism. It was 14 year old Augie Tourdot’s first century and he is now the youngest to have completed a 100 mile uni ride in a day! 150 Miles in One day on One Wheel! 2014 Fargo Street Hill Climb Challenge–Four climbs, three on 29er, New Record! 120 miles in One Day for Leukemia Cure a big success! I am very proud and excited to have successfully climbed one the steepest-if not THE steepest-streets in the US! It’s famous Fargo street in Los Angeles, and it boasts a lung-busting 33% grade incline that goes up like a ramp for more than 528 feet! I am now the oldest, and currently ONLY person to have ever climbed this monster hill to the very top, on a unicycle! I’ve climbed it now three times. The first was on 2/23/11, and the twice during the Annual Fargo St. Hill Climb Challenge, on 3/6/11! Now it’s official! Channel 7 ABC Eyewitness News ran a story on my climb! Seen by MILLIONS I’m told! That’s great exposure for our sport! Filmmaker Joseph Neigh just released his awesome new documentary, “In Unison”! I was honored to be part of it, and it will go a long way to dispel some myths about the sport of extreme unicycling that still exist, but thanks to this film and countless youtube videos and other media exposure, people are starting to get it! I was featured on Yahoo’s main page on 9/1/10, in a new series called “Second Act”! In just the first day, my segment got more than 30,000 views! Now that’s some great exposure for the sport of extreme unicycling! was on Sunday, July 11th, 2010! I am proud to announce that I completed the ride, plus a few extra miles, for a total of 104 miles! Since I could never coast, that means that for the entire 11 hour ride, I pedaled continuously for a total of 58,240 wheel revolutions! It was a great experience and for such a great cause! I want to also thank all those who have donated to this worthy cause, and helped to achieve my fund-raising goal for the American Cancer Society! ***************************************************************************************************************** Filmmaker Joey Neigh just released this short trailer for his upcoming documentary on extreme unicyclng, called “In Unison”. I was honored to be part of it! 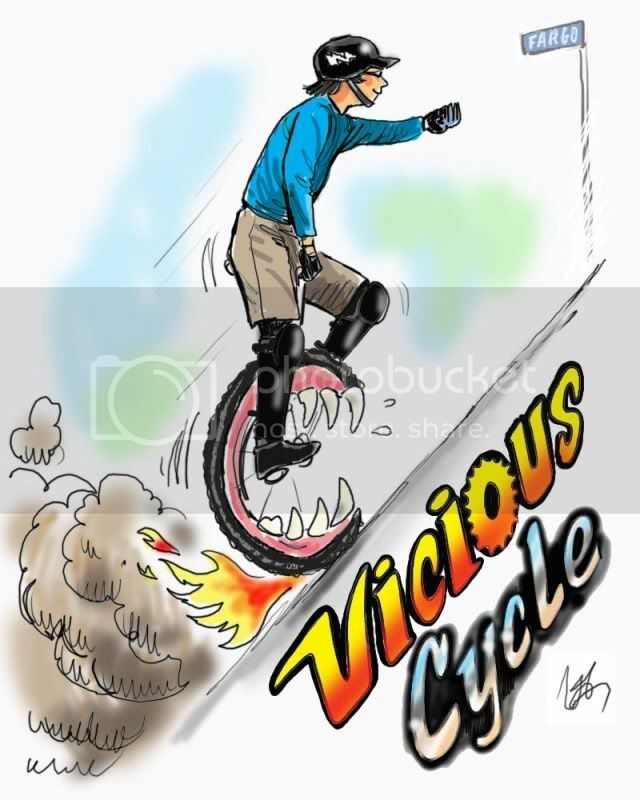 It will definitely help to dispel a lot of “myths” about unicycling, especially the more extreme type! I am excited and honored to announce that I am featured in the new the new book, “50 athletes over 50” by author Don McGrath! It contains 50 inspiring interviews with some of the world’s most amazing athletes, all over the age of 50, and many into their 70’s and 80’s! The book is available NOW, in traditional book form. 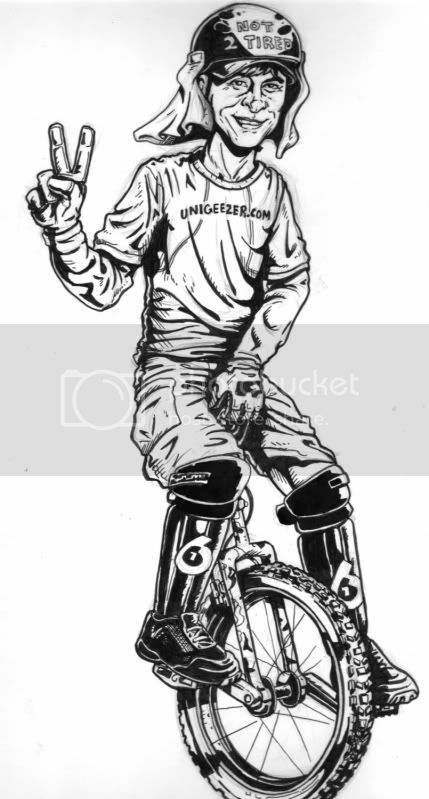 Don’s book will be helping in large measure to spread the word about Mountain Unicycling as the legitimate sport that it is. Here is a recent seminar Don did, and I am mentioned at the 2:30 mark. Thanks Don! I was humbled to read that the reviewer from “Basil & Spice” chose me as his favorite athlete out of the entire 50 in the book! Posted in Uncategorized Comments Off on Welcome to UniGeezer.com! I made the FRONT page of the Orange County Register! , the 3rd largest daily paid newspaper in CA! 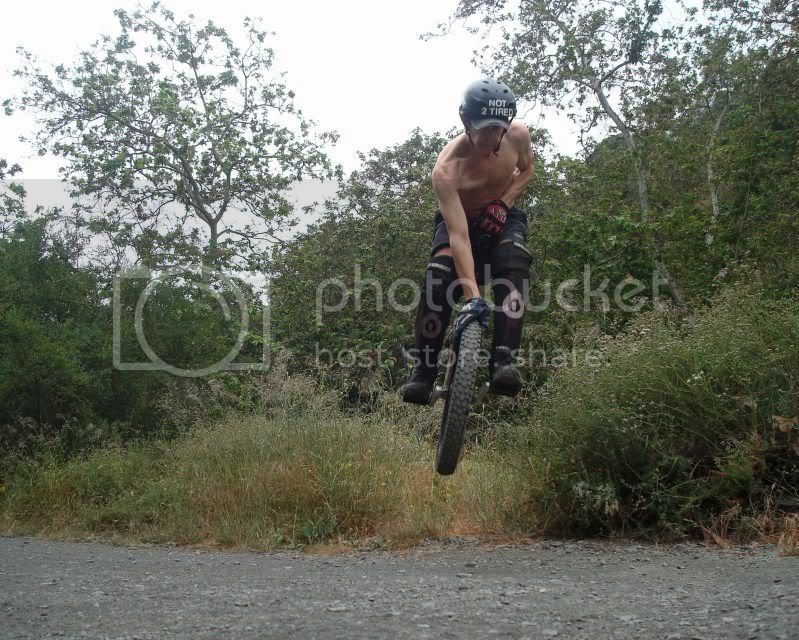 Tags: Add new tag, unicycle extreme sports, unigeezer's latest video! For the ULTIMATE in prescription glasses, please visit my friend and Uni-riding buddy, Dr. James Dugue, FAMILY OPTOMETRIST! Trust me on this one, he is the very BEST and will take care of all your eye care needs! Click HERE for more info.